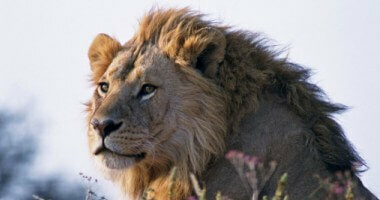 The itinerary is based in community-run Khwai Private Reserve in the greater Okavango Delta region. But rather than limit you to just one camp and one area, we’ve included no less than three. Comfortable and cool Hyena Pan, stylish Sable Alley, and our fabulous Skybeds. Activities are no less diverse either, with game drives, mokoro safaris and nature walks in the green and grassy reserve. 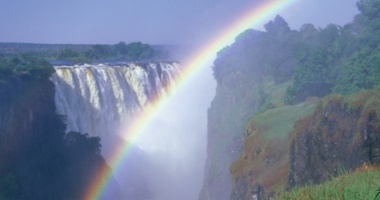 Experience the thrill of a night drive, spend a night in the Skybeds, and enjoy the comforts of a tented camp, all in one adventurous, six-day itinerary. Look out for prowling predators, count endless processions of elephant, and distinguish your kudu from your tsessebe on game drives in the 495,000 acre Khwai Private Reserve. 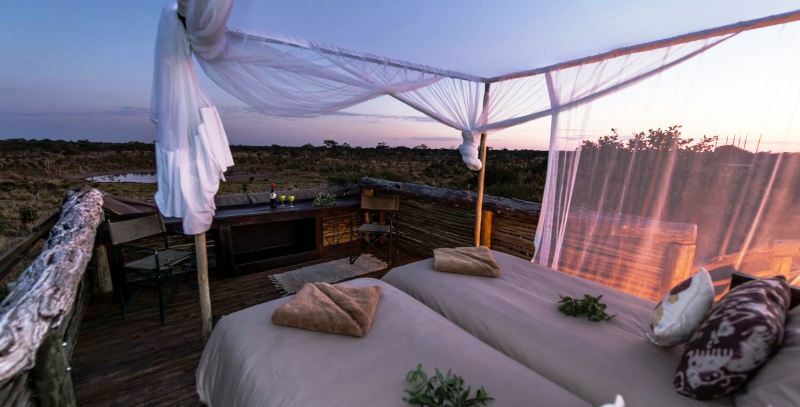 Spend a magical night atop a five-metre high platform at the Skybeds, as the wild things roam beneath you. 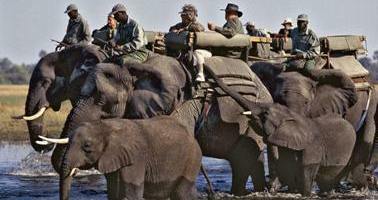 Glide gently down the waterways of the Okavango Delta on a mokoro safari or by boat. Spend an afternoon in the underground photography hide at Hyena Pan and get closer to the big mammals of Khwai than you ever thought possible. 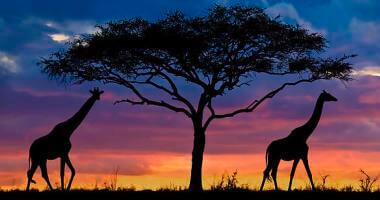 You’ll be travelling for much of today, but there will still be time for a game drive when you arrive at Hyena Pan. Or, at the very least, a festive sundowner to toast the first night of your adventure. Ease in to the safari lifestyle with a gentle game drive through the emerald grasslands of Khwai, and see what you can find. There’s not much that beats sleeping atop a five-metre platform, hippo splashing below, and giraffe peering in at you from the trees. Tonight’s your chance to see what all the fuss is about, at our fabulous Skybeds. Leave your treehouse behind, and try out Sable Alley for size. If you really can’t bear to drag yourself away from the Skybeds, there’s also an option to stay for a second night. Today’s the day to try everything you haven’t had time for; a walking safari or a night drive perhaps, or maybe another game drive (or two)? Rise with the sun and squeeze in one last morning activity in Khwai, before flying back to Maun for your onward flight. Our two camps in Khwai Private Reserve, Hyena Pan and Sable Alley, are unique in their own ways, but both offer total immersion into the spectacular surroundings. At Hyena Pan, the eight tents overlook the Hyena Pan waterhole (where there’s always a drama of some sort unfolding between the wildlife), and are cool, comfortable and quirky. At stylish Sable Alley, the views stretch from a peaceful lagoon right in front of camp, all the way to the Moremi Game Reserve. Gaze at them from your room, the swimming pool, or the spacious dining deck. We guarantee that you won’t have slept anywhere quite like the Skybeds. Built from sturdy local hardwood and raised on stilts, your private bedroom to the stars is on the top floor, five-metres above the beasties at the waterhole below. The second floor contains a private changing area, loo and shower, and on the ground floor, home-cooked meals are served around the campfire. Pricing Information: From $3,114.00 per person sharing. A single supplement applies to single travellers. The price is dependent on actual travel dates. Extension ideas: Explore a different part of the Okavango Delta with two nights in the Uncharted Expedition Camp, a semi-permanent camp that will take you to the most wild and rugged corners of the region.